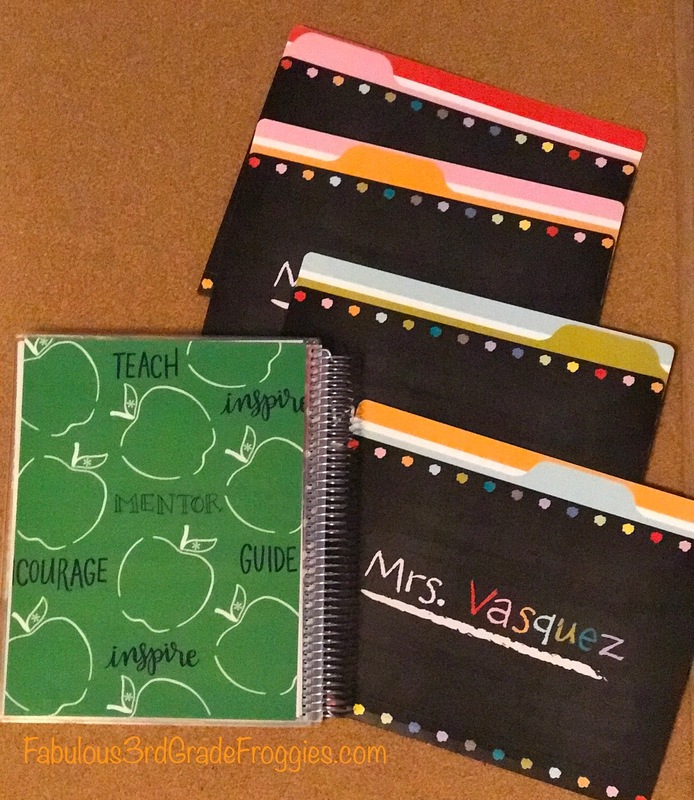 Teach Laugh Plan: One of My Favorite Teacher Traditions! I am not sure if this "tradition" of mine is to celebrate the academic year that just ended or good way to start the next school year but it always happens around late June. What is it you ask? It's buying myself a present! Not buying a present for myself from my kids or husband but it's "to Lorraine, from Lorraine" I buy the same gift to myself every year. I know you are thinking ... "Whaaaat??? the same gift??? What kind of crazy person does this?" This Fabulous crazy person! 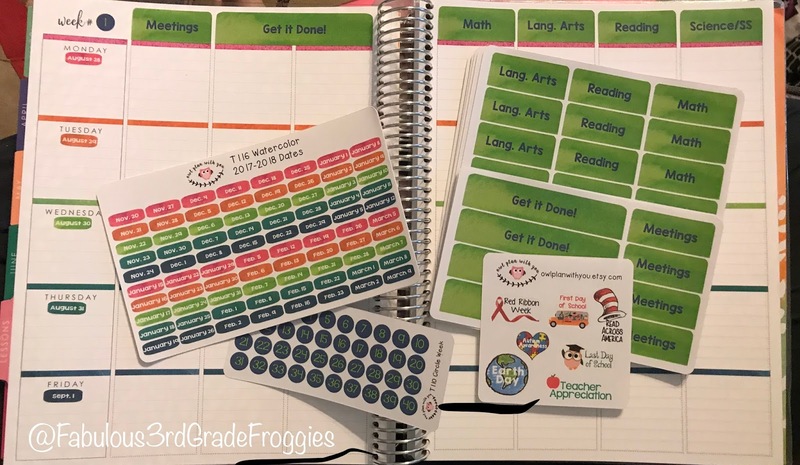 Every single year I buy myself an Erin Condren Teacher Lesson Planner, a Vera Bradley tote or backpack, and this year I added some teacher planner stickers from Owl Plan with You on Esty. 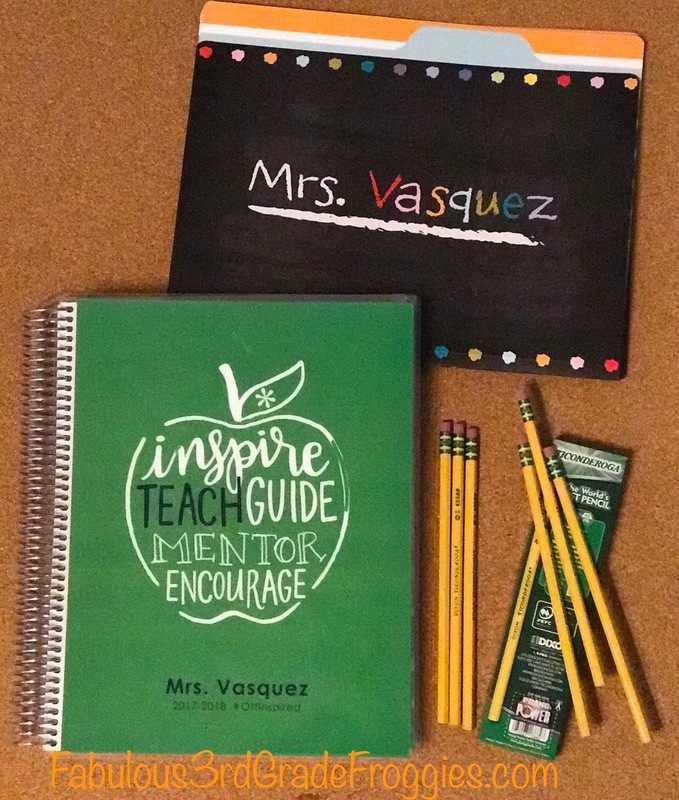 There is nothing like starting out the new year with a new teacher bag and planner. 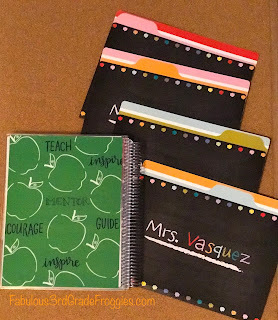 Erin Condren releases her the new Teacher Lesson Planner in June so I have to order it when it first comes out. This year with the release she had a few free gifts to go with it. 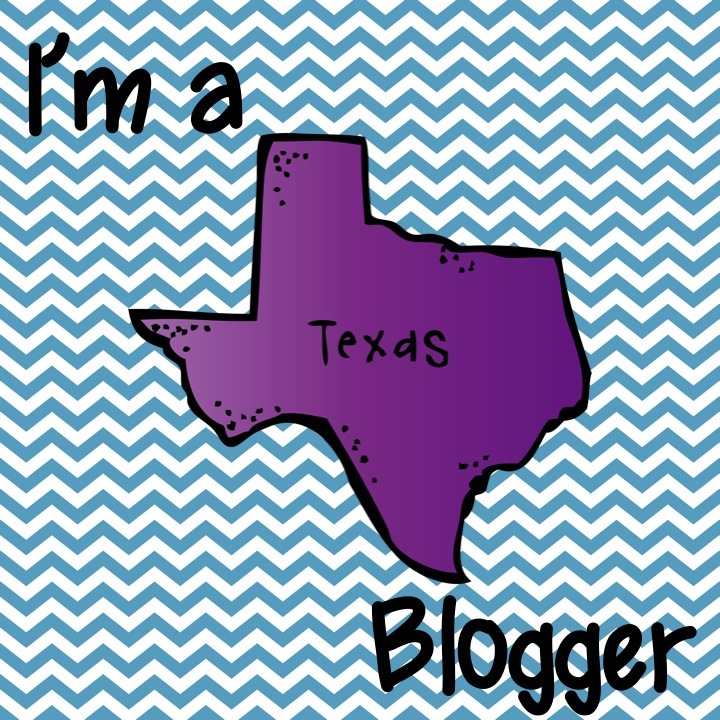 If you click HERE or the above link you will get my referral link and if you are new to Erin Condren as soon as you set up your account you will be emailed an $10 off code. 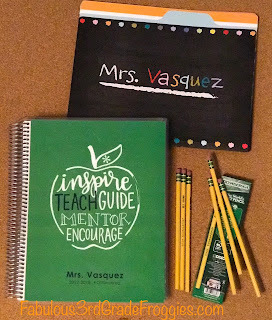 I picked this cover and picked my own colors (green and blue are my faves) and personalized it with my name, the year, and a hashtag (#OttInspired - our school hashtag for this coming year). I also happened to buy myself some personalized file folders because I like my name on stuff. LOL! Here is the front of my EC Teacher Planner. Here is the back the of my planner. Here is part of the inside and the stickers I bought that were customized just for me! The owner of Owl Plan with You is named Betsy and she is incredibly kind and willing to please! Also in late June Vera Bradley usually has a big sale (which is still going on right now by the way) on certain patterns and styles. I got this fabulous bag for 50% off and they had free shipping that day. The bag is still on sale for only $34! Here is my bag for this coming year.... It's even more gorgeous in person and the perfect size, with pocket on the inside and even two on the outside for a water bottle. 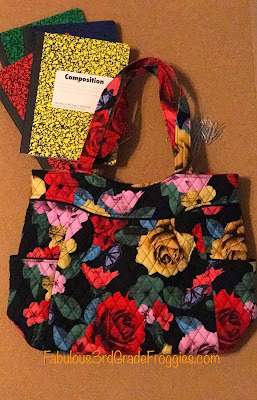 pattern is called Havana Rose. Besides these treats, a color and cut, and an fabulous deals on school supplies (that I usually share on my Facebook and Twitter pages) that's about it for school purchases. 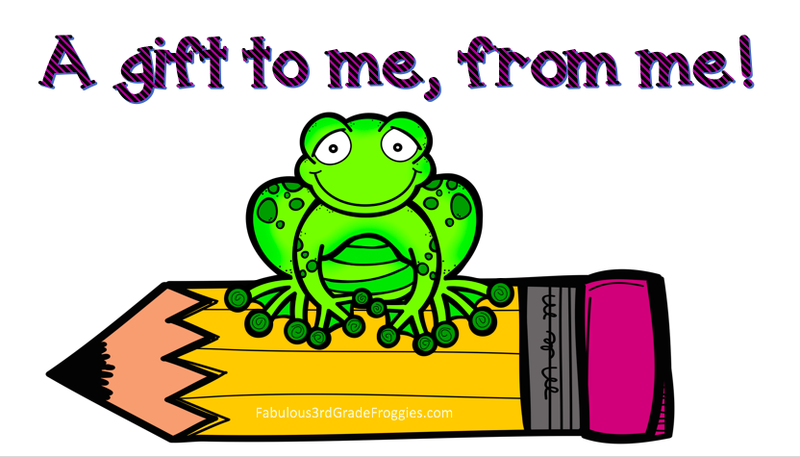 Do you have any teacher traditions that you do at the end of year or the beginning of the year? Let me know in the comments below.